They are trying to “achieve success” to increase their income and overcome their money troubles. In some cases, people are simply trying to “achieve more” because they are trying to achieve a particular goal and are seeking fulfillment by pursuing that endeavor. I am finding more and more, however, that sometimes one of the underlying factors to wanting increased success can be related to money, so I think it’s an important topic to bring up in the blog! If you are in one of the aforementioned areas, I would recommend taking a step back and focusing on learning more about “optimizing your finances.” This doesn’t necessarily mean becoming a rigid budgeter. It simply means learning to assess your personal situation, so you can convert your worries into a feeling of clarity, particularly about how to move forward. 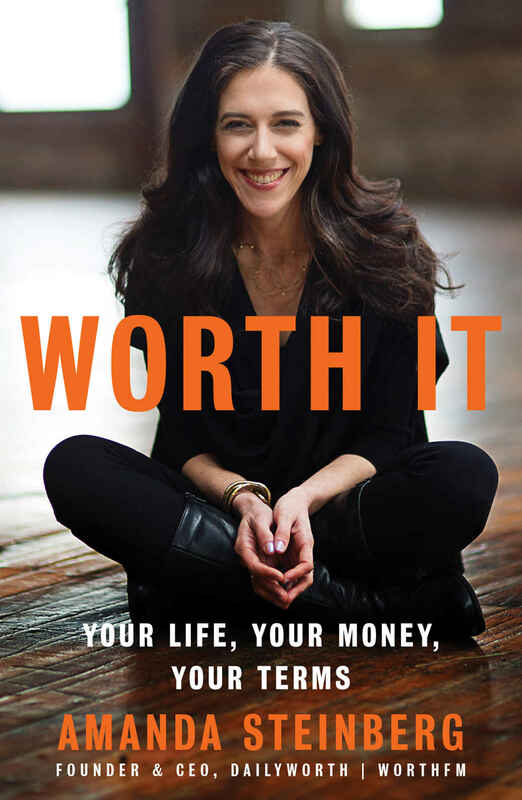 A new book that can help reframe your perspective and make you feel more empowered in terms of assessing your net worth and re-evaluating your life (ie evaluating your choices as risks) is Worth It: Your Life, Your Money, Your Terms. 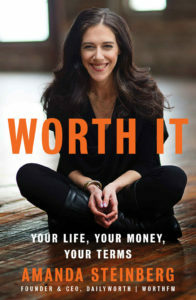 It’s important to note that the book was written by Amanda Steinberg, Founder and CEO of DailyWorth and WorthFM (both have primarily a female audience). Therefore, the book is written with women in mind, however the overall concepts about how to reframe your life and money can serve everyone. 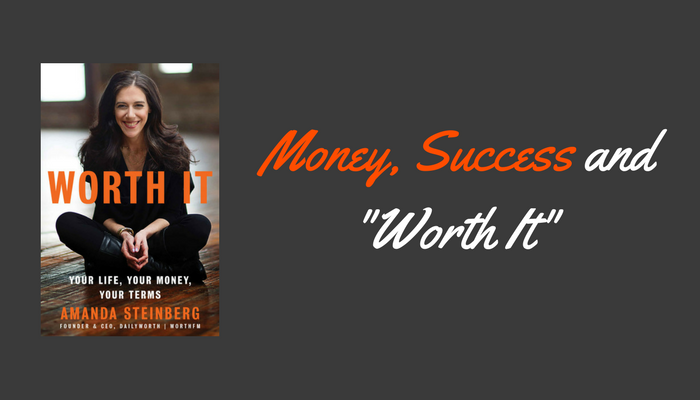 Why I Recommend: Many women (and people) are stressed and anxious about their finances. This book cuts through all that. It’s definitely not a boring book. The author brings up her personal backstory to give the reader context and relates relevant stories, statistics and concepts. I like the “roots and wings” analogy as well as the emphasis on understanding the risks associated with buying property, starting a business, etc. and how all of that needs to be considered. Warnings: Written with women in mind. Introduction: What is a Woman’s Worth? Women are more powerful than ever in US history. So what’s wrong with our value? Part 1: Your Life: Telling Stories. How your life story is also about you and your money. Chapter 1: Hit the Reset Button. The (money) story of my life: what I learned, when I rose, why I fell, and how I started all over again from scratch. Chapter 2: Rewrite Your Story. Wake up, Sister. Time to take this story in a different direction. Chapter 3: Grow Your Roots, Spread Your Wings. Tether yourself to solid ground; set sail accordingly. Part 2: Your Money: Getting Clear to Set Yourself Free. Grow your money, feed your mind, expand your life. How are you when it comes to money? Discover your MoneyType to make your best investments. Chapter 5: Fund Your Future. Support the life you want to live and the self you want to be. Chapter 6: Go to Market. You don’t need to learn stocks–you need to learn how to invest according to a few basic guidelines. Is buying a home the right investment for you? Chapter 8: Run the Show. Launch a business for fun and profit–if you’re cut out for it. Part 3: Your Terms: Mastering Cash Flow. Save your money, save the world. Create affluence on any income. You didn’t really want it in the first place. Epilogue: Design Your Life, Fund Your Dreams. Closing Comments: It’s a good book to reframe your perspective about your relationship to money. Instead of being afraid of it, you will learn to assess your current relationship/MoneyType. In the end, you will have greater clarity around money and how to view it as a part of your life. Next Post This is too much. Where do I begin…?